A. Nayyar Pakistani Filmi Music Singer. He was legendary Pakistani Filmi Playback Singer. He sung great songs in Pakistani Films, and also he was great Pakistani Classical Music, Pakistani Folk Music Artist. 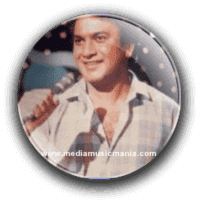 His first popular Filmi Song was “Yunhin Din Cut Jayen", "Yuhin Shaam Dhal Jaye” was a double act with Rubina Badar, composed by A. Hameed and also other his most popular song double act with Naheed Akhtar "Film Kharidar; “Sathi Mujhay Mil Gaya”, and also he sung more lot of hit songs in Pakistani Filmi Music. A. Nayyar won five Nigar Awards in 1979, 1985, 1988 and 1989. A. Nayyar, Ahmed Rushdi and Akhlaq Ahmed remained dominant playback Singer of Pakistani Film Industry from 1970 to 1980. He got playback music training from Ahmed Rushdi, his first appearance TV show was Naye Fankar in 1974 after which he started his playback journey. I have selected most popular Pakistani Filmi Music of A. Nayyar. A. Nayyar was born on 14 April 1955, he was great Pakistani Pop Music Singer and Pakistani Filmi Music Singer, he create good name in Pakistan Music. He was started his career in 1974 with a double act songs. This great singer was died on 11 November 2016 at his residence in Lahore due to cardiac arrest after a prolong illness.